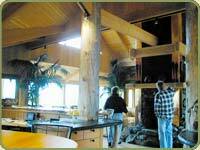 Bear Creek Lumber sells logs in many various species and sizes. Our most common species for logs are Douglas Fir, Western Red Cedar, Spruce & Lodgepole Pine. 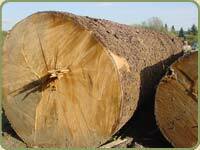 We can offer logs that are Hand Peeled, Lathe Peeled, De-Barked or Bark-On. Note that with Bark-On logs that there will be marks from the extraction of the logs on the bark, so there may be occasional bare spots. Log sizes we typically sell are going to be 6" at the tip and larger. However, we can source smaller diamter logs if need be. Standard lengths are going to be between 6' and 20', but we can also source timbers up to 40' and longer. 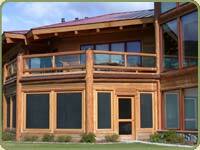 Bear Creek Lumber has access to an actively managed timber stand. 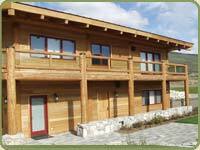 The project is a sustained growth patch of mixed age Douglas Fir and Ponderosa Pine. The stand has been logged twice since 1910 and is presently being thinned. A mixture of middle-aged and old-growth products are being selectively harvested to improve the stand's health. These round wood products can be cut to order for log rafters, poles, posts, vigas and stringers. 6 to 12 inch and larger diameters are available. They can be cut to any length. Customers interested in seeing the ecosystem management of a Northwestern forest are welcome to take a tour of the property. We do not sell house logs or utility poles.